Welcome to MANA Performance Therapy! 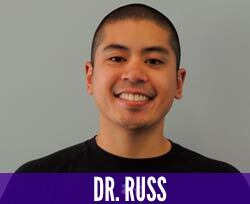 My name is Dr. Russ Manalastas. I am a Doctor of Physical Therapy and a licensed physical therapist in New York. In addition to being a physical therapist, I have a bachelor’s degree in Exercise Science. I’ve also been a strength coach for over 10 years and integrate my background in strength training into physical therapy. My passion is to get people stronger, live healthier, and provide tools to be successful in sports and life without hopefully needing medication or surgery. We understand there are times where medication and surgery are warranted. However, if the source of the issue can be address, many conditions can be managed conservatively with good results. If you’ve found this page, then it’s likely that you are looking for a solution to help the current situation you are in. Whether it’s finding a way to deal with discomfort, improving your athletic performance, or just looking for guidance on how to stay healthy, you’ve come to the right place. We help people with all of the above and combine our hands on techniques with our knowledge of exercise to speed up the process. Below are credentials that Dr. Russ has obtained to further position himself as an expert in expediting recovery, reducing likelihood of injury, and getting people back to their livelihood. An SCS trained physical therapist has extensive training in the diagnosis, management, and recovery of those dealing with sports related injuries across all sports. Hands on techniques are a huge part of our treatment model. We utilize joint mobilizations, soft tissue mobilizations, joint manipulations, and other techniques that help return people back to their baseline. These techniques are geared to reduce pain, restore limited motion, and retrain movement to reduce likelihood of aggravation or re-injury. Dr. Russ utilizes his ability to perform these hands-on techniques, in addition to education and exercise, to expedite the recovery process. Being strong can be a protector against your body breaking down on you. Increased strength can also reduce the likelihood that a person gets injured, which is something we’re really passionate about accomplishing. Incorporating strength training and rehabilitation principles can provide better global awareness of what is needed to recover faster and maintain health for the long run." Visit http://manaperformancetherapy.com to learn more!